All New 18 Exist bosts Light and Tough. Everything installed to this new model is to make it tougher and lighter. 3 Major key features of Exist are Monocouque body, Tough Digi Gear and Magseals. Metal Monocoque body, which was first employed to 16Certate HD models, holds mecanical inside steady, while offering large inner space for over-sized gears, providing more efficient gearing. Tough Digi Gear is made from cold forged extra strong duralmin, machined to make more precise, smooth gear teeth. The strong gears offer superior smoothness and longer life. Magseals are now at 4 points, rotor top, line roller and drive gear sides to offer extended durability. Adding to these three, Exist features following to make it the very best. 2 ball bearing Twist Buster 2 line roller keeps line straight, preventing line twist problems. New small diameter spool design achieves longer casting distance, by reducing line frictions at rod guides in casting. Saltwater resistant bearing, CRBB offer extended life. With these high-end features, Exist offers serious anglers both pleasant, comfort in fishing, as well as great fish. 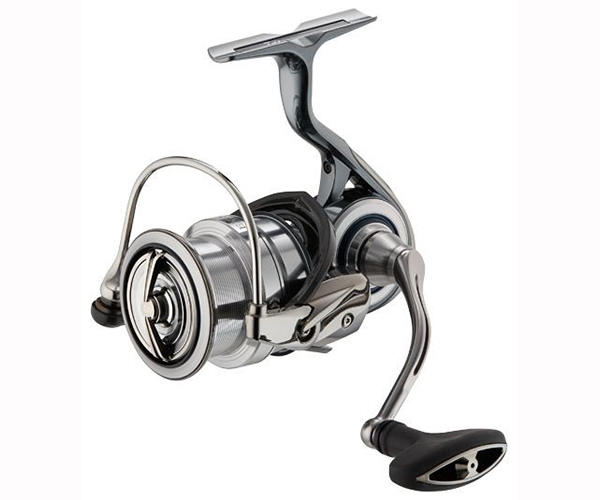 The best light weight spinning feel for freshwater and light saltwater fishing. FC lines are finesse custom models. Spool diameters LT1000 40mm, LT2000 42mm, LT2500 45mm, LT3000 48mm, LT4000 51mm.